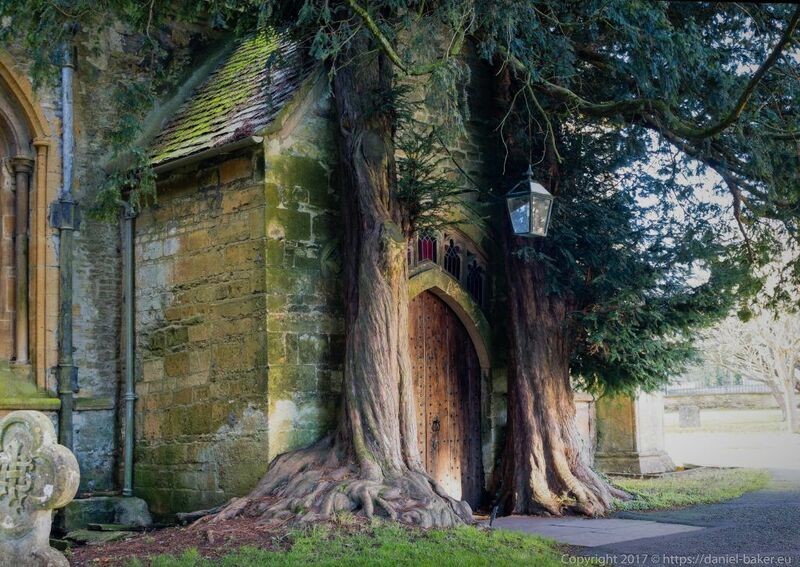 Last week I saw a picture on Twitter of St. Edwards Church in Stow-on-the-Wold, it looked like something out of a fairy-tale so I did some research and found out some people think it was the inspiration for Tolkien’s entrance to Moria! The next day I headed for Stow-on-the-Wold and took some pictures of the church, after this it occurred to me that I lived in the middle of Tolkien country and there must be lots of places nearby that inspired Tolkien’s stories. So finding Middle Earth has become my project over the winter, I’ll be travelling around trying to take some fantasy style pictures of Tolkienesque places, maybe I’ll spot some Hobbits on my journey, I just wish I had a grey wizard to guide me. I’ve looked at several articles about Tolkien and made maps of places he lived, worked or inspired his stories, he even visited Cheltenham to woo his future wife, she stayed in Charlton Kings according to census records but I’ve yet to find the address. I know some places may not be wheelchair accessible but it will be an interesting journey and hopefully help improve my photography skills. 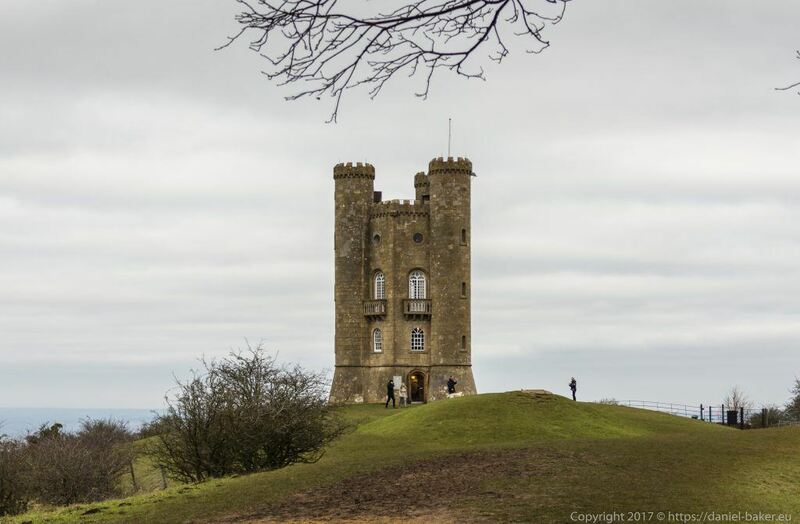 Today was my first day finding middle earth, I went to Broadway Tower, a 45 minute drive, parking was cheap, two pounds for four hours, the machine only takes coins which of course I didn’t have, so I bought my PA a hot chocolate and put the change in the machine. I didn’t actually go in the tower and only took photos outside, it probably wouldn’t be the best terrain for most wheelchairs but mine managed without trouble. We stayed about half an hour by which time I was frozen, but hopefully I got some decent pictures. Next up was Moreton-in-Marsh, parking was easy to find by the train station, it was free for Blue Badge holders and close to the town centre. I probably didn’t pick the best day as it turned out it was market day, don’t get me wrong it was a lovely market it just meant getting a good picture of the Bell Inn was impossible, so I’ll return again to get a better one. We then headed to the Four Shire Stone, unfortunately it’s right on a corner as you turn into a road with no pavement or place to park, I’ll try again in slightly warmer weather so we can walk for a longer distance from wherever we find to park. The final place today was the Rollright Stones, there is a large lay-by right next to the site so parking was easy, I was half expecting it to have stiles and not be accessible, but surprisingly the area had a drop kerb followed by a gate wide enough for a wheelchair, there is a grass path between the stone circle and the Whispering Knights which has a mesh plastic underlay to make it wheelchair friendly. Entry costs £1 for adults which you put in a donation box by the entry gate, as parking is free it’s very reasonable. 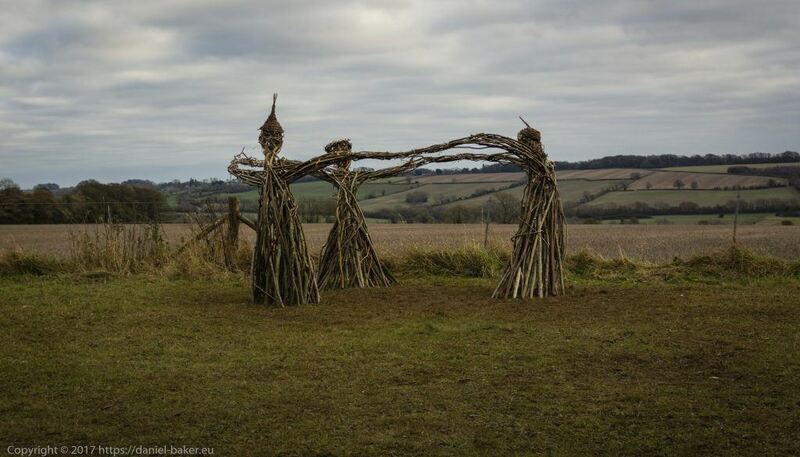 We headed into the field with the King’s Men and saw three witches made of wicker, after taking a photo or two I turned to the stone circle and took more photos, of course I had to go inside the circle and get my PA to take a photo. Next we headed round to the Whispering Knights, I got a nice picture then headed across the road to the King Stone, this field isn’t level and most wheelchairs would struggle, I managed to take one photo out of focus but my hands were so cold by this point I could barely move my fingers and needed to head back to the van. I had a good day despite the cold and the satnav deciding to lose it’s GPS lock several times, leading t wasted time travelling down many wrong roads, I will return to some of these places, not just for more photographs, but to enjoy new found places. Finding Middle Earth has been a rather enjoyable adventure so far! This entry was posted in Geeky, Photography and tagged Daniel Baker, Middle Earth, photography, Tolkien. Bookmark the permalink.